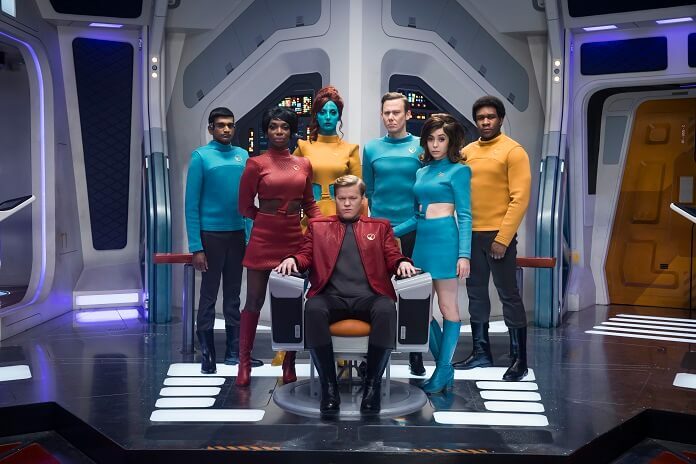 Season four starred Jesse Plemons, Rosemarie DeWitt, Jimmi Simpson, Cristin Milioti, Aldis Hodge, Maxine Peake, Andrea Riseborough, Letitia Wright, and Michaela Coel. The series’ fourth season attracted veteran directors including Jodie Foster (Home for the Holidays), Toby Haynes (Jonathan Strange & Mr. Norrell), John Hillcoat (Lawless, The Road), Colm McCarthy (Peaky Blinders), Tim Van Patten (Boardwalk Empire), and David Slade (American Gods, Hannibal). Charlie Brooker created the award-winning series and serves as writer and executive producer. Annabel Jones is also on board as an executive producer. Netflix has not revealed any details on season five and the renewal announcement did not include the upcoming season’s premiere date. Season four was released on December 29, 2017. The addictive anthology series was nominated for three Primetime Emmy Awards, winning in the Outstanding Writing for a Limited Series, Movie or a Dramatic Special (Charlie Brooker) and Outstanding Television Movie categories. The series was also nominated for a Screen Actors Guild Award (Bryce Dallas Howard) and won a Producers Guild Award in the Outstanding Producer of Long-Form Television category. The Black Mirror Plot: Black Mirror is an anthology series that taps into our collective unease with the modern world, with each stand-alone episode a sharp, suspenseful tale exploring themes of contemporary techno-paranoia leading to an unforgettable – and sometimes unsettling – conclusion. Without questioning it, technology has transformed all aspects of our lives; in every home; on every desk; in every palm – a plasma screen; a monitor; a Smartphone – a Black Mirror reflecting our 21st Century existence back at us.